We are accepting experienced Refrigeration HVAC Technicians/Installers applications, click here to download application, then email to . Winter Maintenance is getting scheduled now. Contact us for Great Specials! To be the 1st choice Service and Equipment Provider for all users of Refrigeration and HVAC Equipment. Maass Refrigeration Service is committed to taking pride in every Project whether it’s a small Restaurant or Bar, Convenience Store, or an Industrial Company. Our reputation is built on the Customer Satisfaction. We truly care about our response time and it is very critical in servicing your Refrigeration and HVAC systems so we have implemented an electronic dispatching system which allows us to schedule, assign and dispatch quicker to meet our customer's needs. We also can update our customers throughout the work order process keeping our customers informed. Maass Refrigeration Service, LLC is an honest dependable Refrigeration/HVAC Company specializing in the sales, service, installation and repair of all makes and models of Commercial and Industrial Refrigeration and HVAC Equipment. We offer service contracts and maintenance agreements to ensure your equipment is always running smooth. Maass Refrigeration Service, LLC services all types of Refrigeration systems including Walk-in Freezers and Coolers, Self Contained Refrigeration Units, Ice Machines, and Chillers. We also offer extensive Service on Commercial HVAC Roof Top Units, Make-up Air Units, and Air Handlers. We have more than 15 years of experience serving these types of equipment no matter the brand. 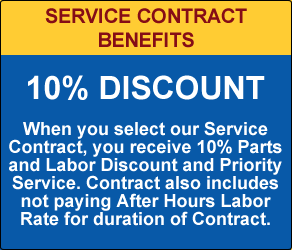 We service top name products including Heatcraft, Copeland, Tecumseh, Manitowoc Ice, Hoshizaki, Goodman, Lennox, Trane, Carrier, Luxaire, and GE.